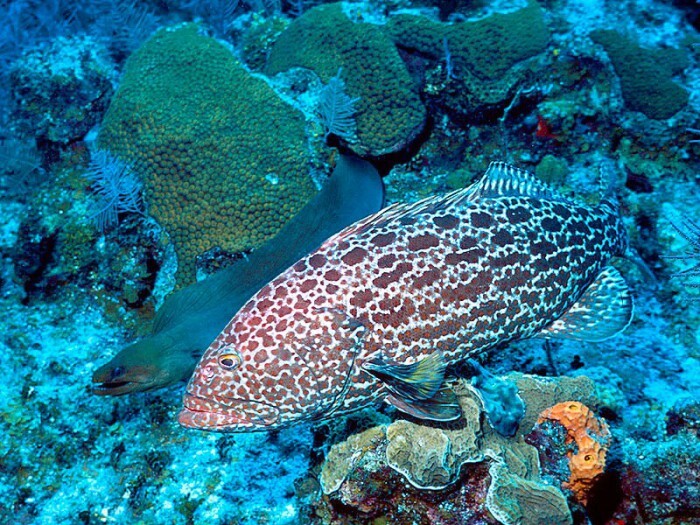 Two types of fish—grouper and coral trout—can use sign language to communicate about their experiences. A study published in Nature Communications discovered that the fish are able to “point” at the phenomena they have in mind. After studying gesturing grouper in the wild, researchers found that when the prey fish escaped the hunting alliance, a grouper would sometimes move to where the victim was hiding and “signal” the others. Coral trout practice similar gestures, and as a matter of fact, this is the first time “sign language” has been found to occur in animals other than ravens and primates. Read on for more on these signing creatures and this enlightening study. This entry was tagged fish, ocean, sea, sign.